Senator Sherrod Brown (left) and Senator Rob Portman. 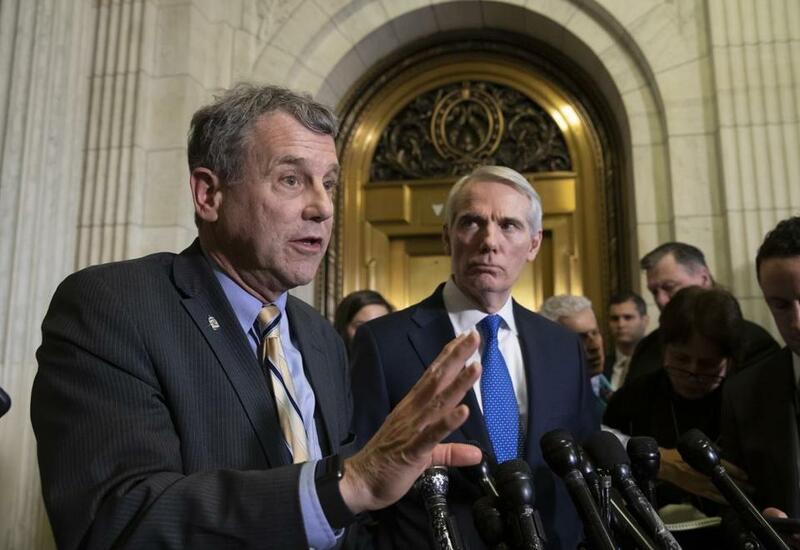 In a sign US Senator Sherrod Brown might be serious about running for president, the Ohio Democrat announced this week that he plans to tour the early presidential primary states. Now, people familiar with the planning say he has hired a reputable New Hampshire firm to help him organize his trip to the first-in-the-nation primary state next month. Civix Strategy Group, a Concord-based firm founded by Karen Hicks, has been brought on board to help Brown. Hicks served as a senior adviser to Hillary Clinton’s 2008 presidential campaign. In the 2004 cycle, she was the New Hampshire director for Howard Dean in the primary before becoming the national field director for John Kerry’s presidential campaign in the 2004 general election. For now, Civix is only working with Brown on this trip and has not committed to him should he later become a presidential candidate. But news of the firm’s involvement comes the same day as the Des Moines Register reported Brown’s PAC had hired a progressive Iowa organizer who worked on the Bernie Sanders campaign.